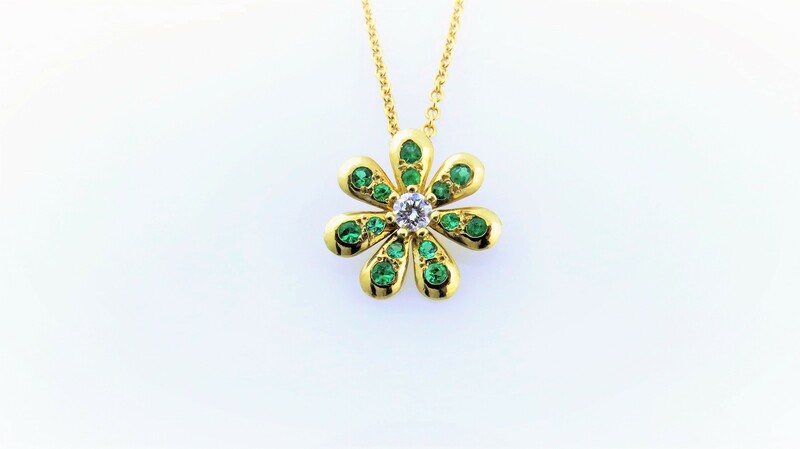 14kt yellow gold Adco Exclusive flower design pendant with one round brilliant cut diamond, .10 carat, and 12 high quality natural emeralds, total weight .14 carats. Chain not included. Can be made in 14kt white or rose gold. Please specify under comments.